Mutual-aid societies were often a marker of immigrant communities. They often provide aid for new arrivals, financial support for those in need, and health insurance for their ethnic community. 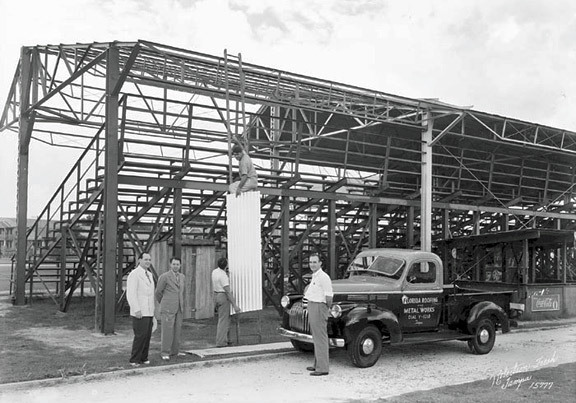 In Tampa’s large ethnic community, these mutual-aid societies also participated in baseball leagues. Played at Cuscaden Park, these games were often intense. 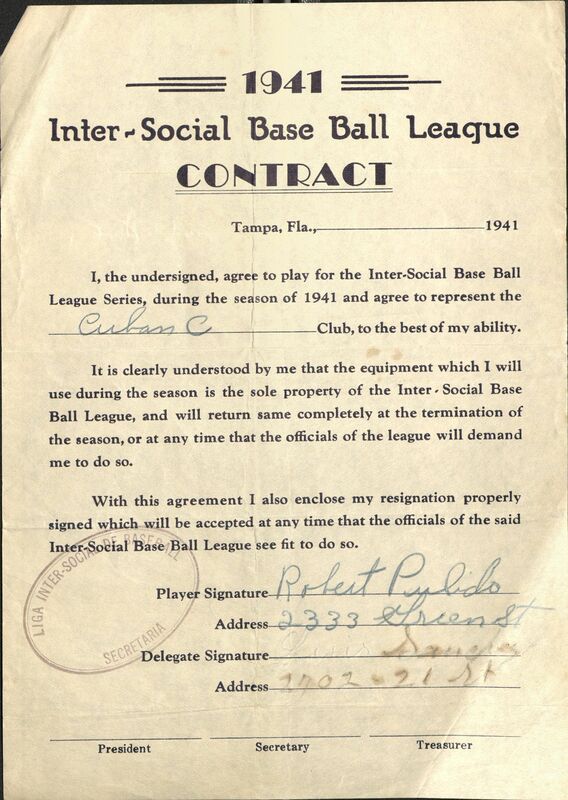 Yet, the inter-social league provided an opportunity for immigrant of different ethnicities to work together in creating the league. 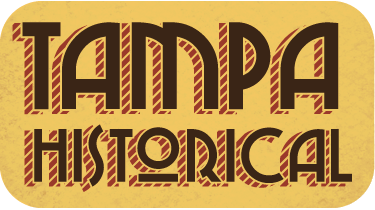 Mutual-aid societies were an important part of Tampa’s immigrant communities. Although they provided an important service to their ethnic community, they were also associated with leisure. These places were known for their Saturday night dances and Sunday afternoon baseball. 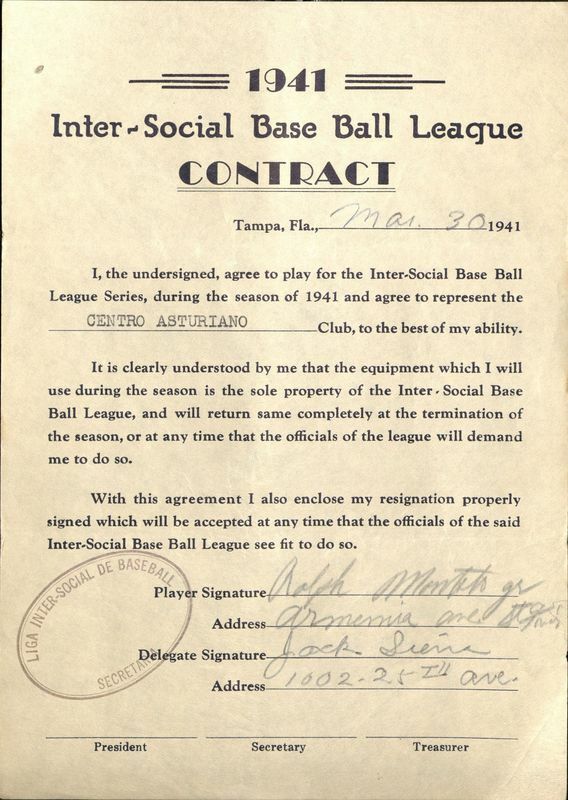 Inter-social league baseball was a big deal throughout the early years of the 20th century. Unlike the CCL, these inter-social leagues were created, organized, and governed by the mutual-aid societies. 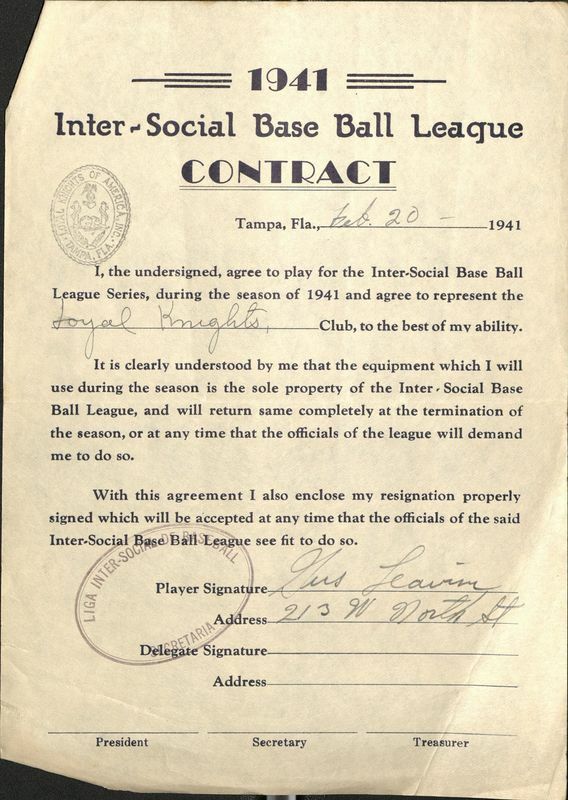 Beginning in the 1920s, Tampa’s ethnic clubs created a joint venture called Liga Inter-Social De Baseball. The players were not to be paid for these games. This allowed younger players, such as Al Lopez, to play on the teams. These games took place on Sundays – the day that cigar makers did not work – at Cuscaden Park. 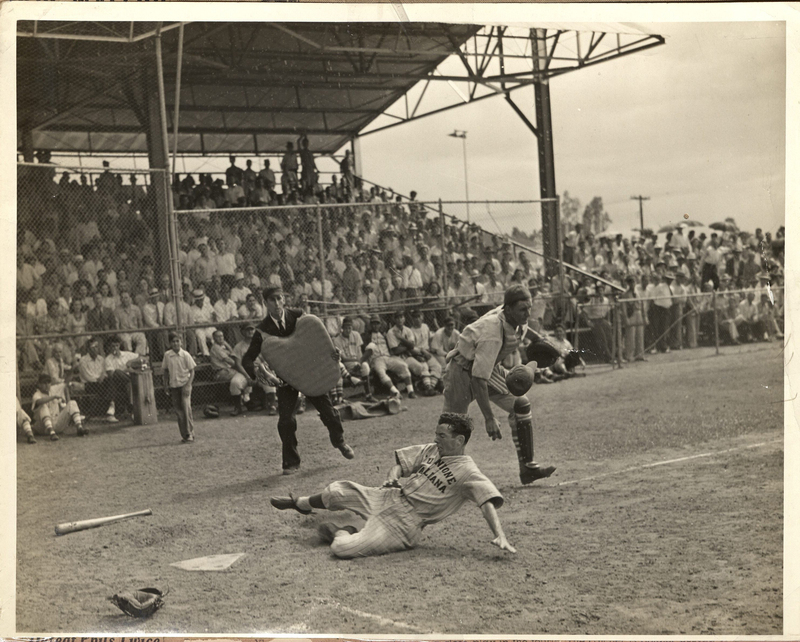 Into the 1940s, the league charged adult 25 cents to enter the ballpark for the day, children were allowed in for free. Yet, the goal of this was not to make money, it was to foster communal relationship within and between the ethnic communities. Each player had to sign a contract to play in the inter-social league for the 1941 season. Though they were not payed, all the equipment was property of the league. These strict guidelines about equipment pertained to the fans as well. Ybor City resident Augustine Martinez experienced this enforcement first-hand. After watching one of the inert-social league games, a young Martinez somehow ended up with a baseball that was used during the game. Later that same afternoon, the Martinez family was visited by Ybor City police officer Manny de Castro. Martinez remembers that “[M]y dad goes out to talk to him and Manny goes, ‘I just came over because someone says that your son took a ball – while they were playing ball, and we need those balls back.’ And so my dad gave me a yelling, and I say, ‘Yeah, I got the ball, I mean, I thought I could keep it,’ And Manny says, ‘Well, if it’s an old ball then you can keep it, most of these are brand new balls and we need them.’ Martinez returned the ball without any punishment. These games were often contentious on the field. While the societies wanted local, ethnic players on their team, the lure of winning was often too great. Players would transfer from club to club, despite their ethnicity. 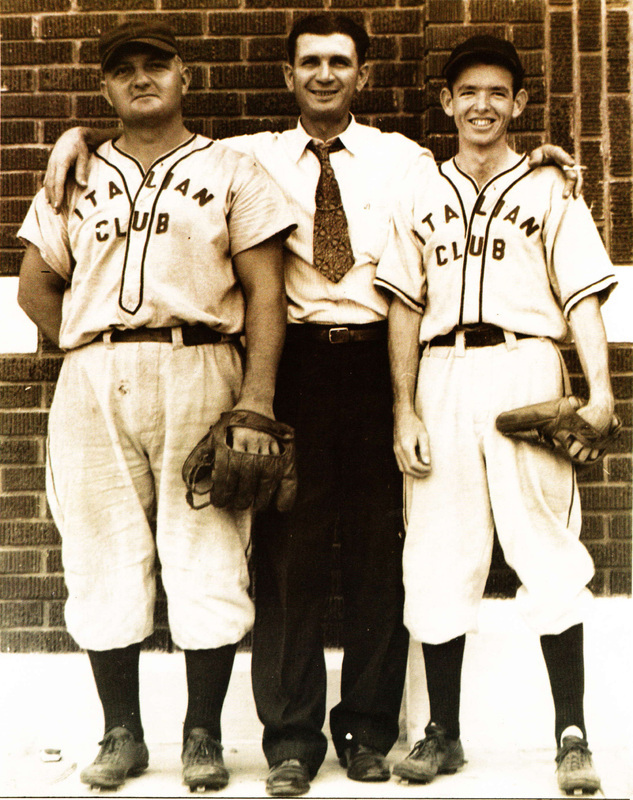 Lopez remembered that “There were some Cuban fellows that were playing for the Italian Club because they didn’t have enough Italian ball players. 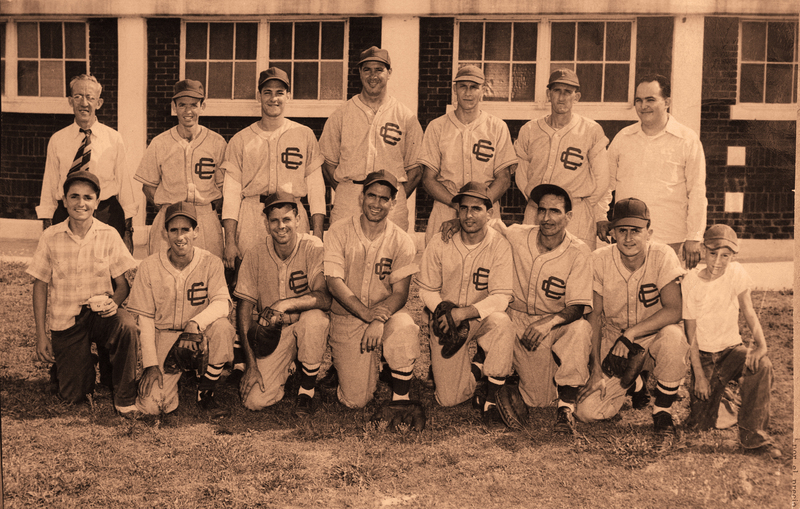 The Centro Asturiano had a pitcher who was an Italian boy that was good.” This intermingling of players often led to tension on and off the playing field. 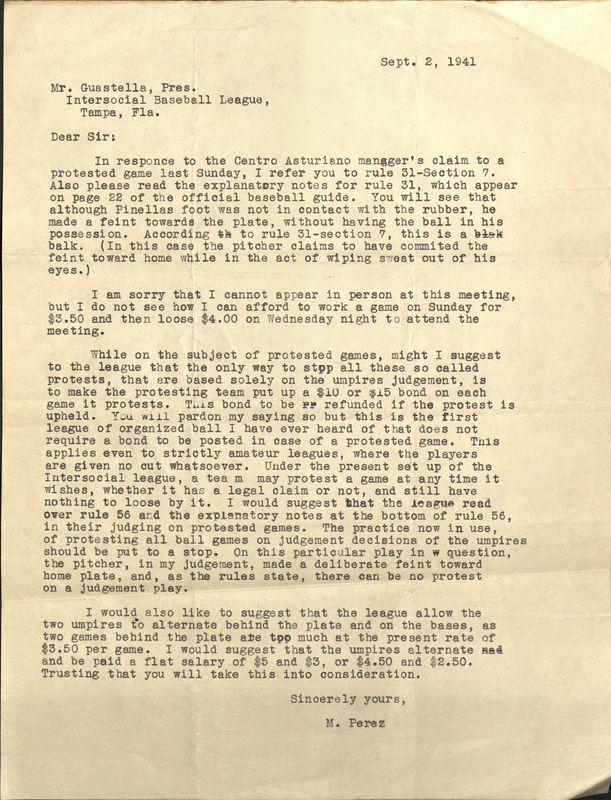 Lopez further recalled fights concerning a player’s eligibility (over players who were imported from Cuba or Key West) and whether players were being paid – in theory the inter-social players were not paid to play. Lopez attributed these issues for the downfall of the inter-social league in the 1950s. 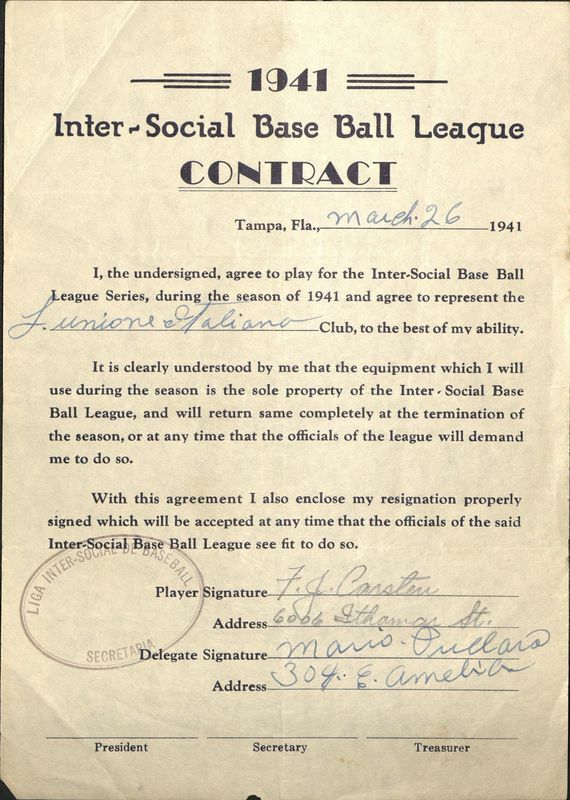 Paul Dunder, “Inter-Social Baseball League,” Tampa Historical, accessed April 20, 2019, http://tampahistorical.org/items/show/20.